In 2013, Apple took the rare step of introducing the iPhone 5s and iPhone 5c simultaneously in Cupertino, California and Beijing, China. Earlier that year, we discussed the long-term importance of China on Apple’s bottom line. On Tuesday, Apple will release the results of the company’s first fiscal quarter of 2015. The company is expected to announce that more iPhones were sold in China than in the United States last year for the first time, according to The Financial Times. Analysts at UBS estimate that China accounted for 36 per cent of iPhone shipments in the most recent quarter, compared with 24 per cent for the US. During the same period last year, 29 per cent of units were sold in the US and 22 per cent were in China, UBS said. What does this power shift mean for Apple going forward? 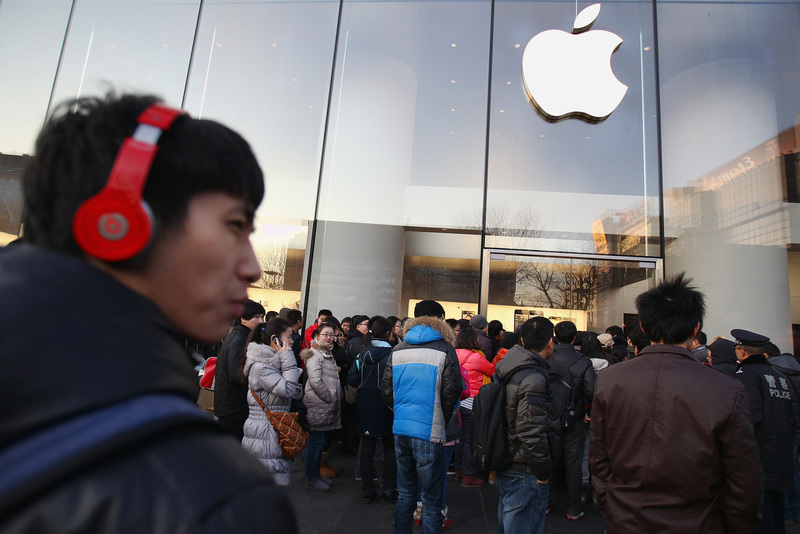 For one, more Apple retail stores are going to open in China. Before the Chinese New Year begins on Feb. 19, Apple is expected to open five new stores in the country. The first, the West Lake store in Hangzhou, opened last week and is now the largest Apple retail store in Asia. In October, Apple CEO Tim Cook said that 25 additional stores would be launched within the next two years in the country. Second, Apple will continue to look to China for the next big thing. The Chinese love their phablets, which is one of the reasons that Apple introduced the 5.5-inch iPhone 6 Plus in 2014. The long-rumored 12.9-inch “iPad Pro” could also be a big seller in China. Also, most iOS devices will now launch in China at the same time they arrive in Apple’s home country. This could mean worsening short-term supply constraints in other parts of the world when new products are released. Finally, we’re probably going to see much more collaboration between Apple and the communist government in Beijing. Already, Apple has agreed to allow China’s State Internet Information Office to carry out security audits on Apple products in the country. What happens if China wants to take a look at iOS devices shipped overseas? We’ll continue to follow this story, beginning with coverage of Apple’s first quarter of 2015 conference call, which takes place tomorrow, Jan. 27, at 2 p.m. PST.